If there’s one place that's guaranteed to entertain its customers, it’s Nashville’s own 3rd & Lindsley. This iconic venue has hosted performances from some of the industry’s biggest names like, Ed Sheeran, , , , —just to name a few. One of the coolest parts about this place, though? Aside from serving up the hottest live acts, the hotspot also offers a full lunch and dinner menu so you can quite literally have your cake and eat it too. With special shows, backstage events, and menu items like New Orleans style gumbo, this Nashville-based bar and grill caught our eye from the very start, so we obviously had to learn more. We got the chance to speak with 3rd and Lindsley’s talent buyer, Santo Pullella, about how he booked , secret venue facts, and how he got his start in the industry. Check out the interview below, and then get a glimpse of the venue for yourself with their virtual tour. For someone who doesn’t know what a talent buyer does, can you tell us what a typical day is for you? It always varies but I prefer to get into the office early, around 8 a.m., if I'm not at the venue late the night before settling a show. Really what I do is, I’m on the phone and emailing with agents, managers, labels and whoever our partners are in town with radio stations or other music organizations, just trying to get the best artists that are on the road or developing here in town to play on our stage instead of someone else's. Basically what I’m trying to help the artists’ team do is honor both the artists’ music, what they create, and honor their fans. 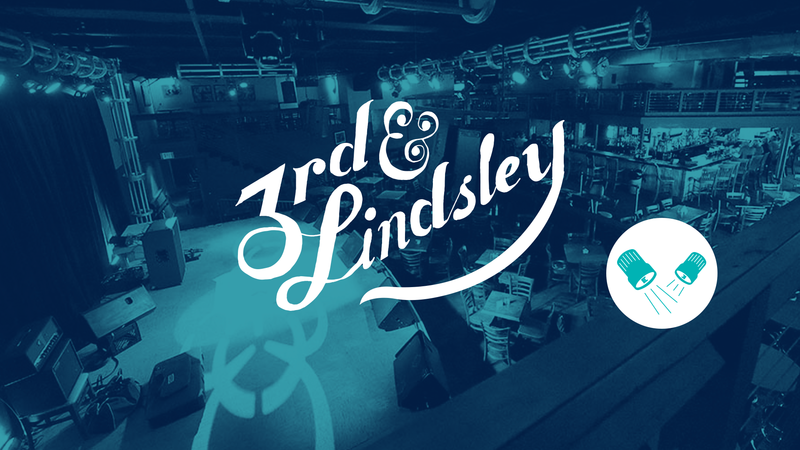 You’ve been a talent buyer at 3rd and Lindsley for little more than five years now, what has changed since you started there in 2011? Aside from the more physical/aesthetic properties— just always updating the venue, we’ve added two mezzanines since I started there. It was still a 215 capacity, small seated venue for my first month. After a month, we all came in at midnight one night with sledgehammers and knocked down a wall because the owner had purchased the lease for the big gigantic storage unit on the other side. We built a whole new professional stage, 24 by 14, with completed updated PA system (public address sound system). So suddenly we doubled in capacity overnight, literally. Since then we’ve added two more mezzanines. The main thing that's really changed is going from a seated venue to a club that can easily and flexibly handle SRO shows, standing room only shows, so we can do big rock shows, country shows, indie rock, bluegrass, whatever we want to do and people can get up and dance. The first performer that you booked at 3rd and Lindsley was Chris Stapleton, what was it about Chris that you were drawn to? I needed to fit a certain demographic that was going to be here that night. I needed to get it right and I had just moved down here with my wife and daughter from Davenport, IA and I knew most of the agents down here and had a lot of good relationships. So really how it happened was, I just called a couple guys that I felt were friends in the business, and I said “I think I have a shot at getting this job here at 3rd and Lindsley, here's a few examples of the style I need for this night.” One of them said tol check out Chris Stapleton, he's got a new band called the Jompson Brothers and he used to be in the Steeldrivers, so I looked it up, and listened to a few different projects he’s put out. I was like “oh my gosh this guy has the voice, the look, the songwriting, this is perfect.” And it all came together pretty easily. Now everyone knows about him. The most challenging part is probably myself. I never think that I've done enough, I always think we can improve and raise our profile with a certain style of artist or certain talent agency that is still getting to know what we are capable of doing and that we are capable of doing it as well as anyone in the world. I’m always challenging myself and I don't listen to any praise. Just keep improving and try to surprise myself month by month. We are never done evolving. Nashville’s nickname is “America’s Music City,” what advantage do you think the location of 3rd and Lindsley has for the music fans—or fans of a specific genre, like country? I got into this business and day to day I think what makes me most passionate is artist development. I don't think of this as bar sales. The sales of food and beverage come with making sure the best artists are coming here and all of their fans are taken care of and having fun. But artist development is working to keep in touch and having great relationships with all the different teams that work to develop artists across the world. Knowing who the new up and coming artists are, their debut albums, and we all work together. Rarely do I feel like I’m working intensely, my motto is we are all working together. Can you tell me something not many people know about 3rd and Lindsley, a fun fact or special feature? Something that’s really unique about us is that we are open 362 days a year, we only take Christmas, Thanksgiving and Super Bowl Sunday off. It's been open for 25 years, and this club is the longest running single ownership venue in Nashville. Which 3 emerging artists have you booked recently and why did you want to book them? Nashville is so ripe with every genre. I would say Cody Jinks is one. He has an unbelievable team at C3 Artist Management, based out of Austin, TX. He came out of nowhere about a year and a half ago and he caught my eye, suddenly we had him booked the first three nights in december and they sold out in a day. So that’s really special. Another one would be Margo Price, she’s got one of the biggest voices I think I have ever had on stage. She’s more of a traditional country, little bit of an alternate take, but she pays a lot of respect to the way it was done far before Nashville became a pop country type or town. Her voice just carries, it’s something that is rare and her energy is rare along with it. And lastly, I’m going to go with the Whistles and the Bells. Where did you get your start in the industry and how did you know you wanted to be a Talent Buyer? My professional beginning was being recruited and hired from a microbrewery that I was booking for a professional venue back then called the Redstone Room in Davenport IA, the president of the organization, a non-for-profit called The River Music Experience, and he picked me up and brought me over and talked to me about what they were trying to do—and that was it! That was moving from a microbrewery that sold beer, has lunch during the day, and music at night, to a venue that was only open for music,this was in 2006. That was the beginning of working for full-time professional venues. I was booking that room and a music festival called River Roots Live, and the first year I was there we had The Black Crowes and Umphrie’s McGee, and it just went from there. Who are your top three favorite artists that you listen to when you’re not at work? Easy #1 is Tool, I would say Lord Huron would be one more, and I think right now I’ll go with Radiohead.